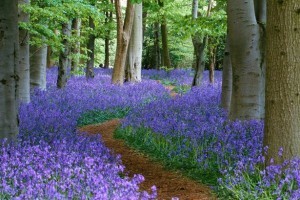 Spring is open us and there is no lovlier sight than a mass of bluebells to lighten the heart. Come and visit Trelowarren on 29th April and have the rare opportunity to wander through the private garden and the estate in general taking in all the gorgeous flora and fauna but particularly our lovely bluebells. Why not join us first for breakfast at the Trelowarren New Yard Restaurant starting from 8am or stay for lunch after your walk. Share your bluebell pics on instagram tagging @trelowarren and #bluebellstrelowarren or post them on the Faceback event wall to be in with a chance of winning a free light lunch for two at the NYR. Is there any entry fees for visiting the woods /bluebells on 30 April 2016? Our news section is full of Cornwall holiday specials, updates from the Estate, self-catering cottage getaways for the entire family and more.